Spurs suffered Champions League heartache at the hands of the Serie A champions when a 2-1 defeat at Wembley on Wednesday saw Juventus go through 4-3 on aggregate. He felt the Italian club did everything in their power to ensure it was they who would progress to the quarter-finals, including attempting to put pressure on Polish official Szymon Marciniak. "I think it's a massive situation that you must learn from. "If we only see the stats from the two games, I think Tottenham was the much better team," Pochettino said. "It's in the small details that the competitions sometimes demand different things. "I think Juventus are specialists because they have the habit to win, the habit to put pressure on the referee. "It's a club with a culture to do everything to try to help the team." 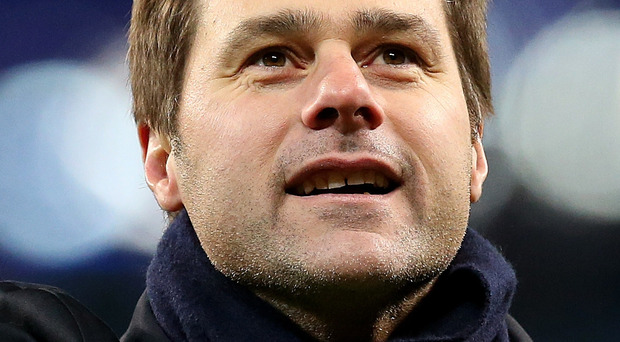 Spurs return to action at Bournemouth tomorrow and Pochettino insists they cannot afford to feel sorry for themselves. "It's now a moment to think of the next game," he said. "The competition doesn't wait for you, the team has to move on and think about the weekend." Midfielder Eric Dier sustained an elbow injury against Juventus and is a doubt for the game. Defender Toby Alderweireld remains unavailable because of a hamstring problem, while full-back Serge Aurier is back in contention after his European suspension.